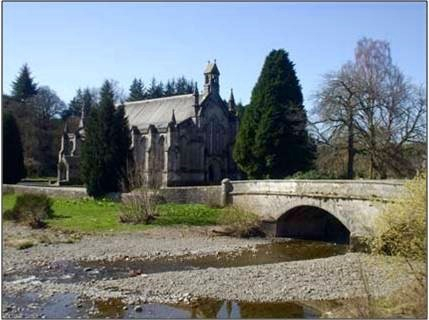 Langholm Parish Church was built in 1842-6 and and sits beside the rivers Esk and Wauchope in its own grounds close to Buccleuch Park. The front of the church was renovated some years ago to include a meeting room, small reception room, kitchen and disabled toilet. The church and meeting room have a sound system with loop facilities; our organ is a fine Willis organ which has been used for recitals . Currently our organist is Mr Henry Jeffrey who is a local man and a music student at Napier University,Edinburgh. A major project is currently underway to provide a ramp for disabled access to the building. Services are held at 10am every Sunday. Holy Communion is celebrated on the first Sunday of each of the months of March,June , September and December.